I just dug out some old photos and remembered the time when my eldest sister’s eldest daughter had a baby. My sis asked me to help her to prepare the meal for her daughter when she was in the hospital. As with my mother’s tradition, the first thing she fed my two older sisters and my brother’s wife was steamed minced pork with sesame oil and ginger. So, I did exactly what my mom used to do. It is really easy to make because I just need to buy some fillet pork (bak thau) because it is believed that the fillet part is not so ‘toxic’ for new moms and ask the butcher to mince it. Next, I slice the ginger and cut them finely. Stir fry the ginger with lots of sesame oil. You may notice an ugly layer of oil but that’s what mom insisted. Plenty of sesame oil to keep the new mom warm. 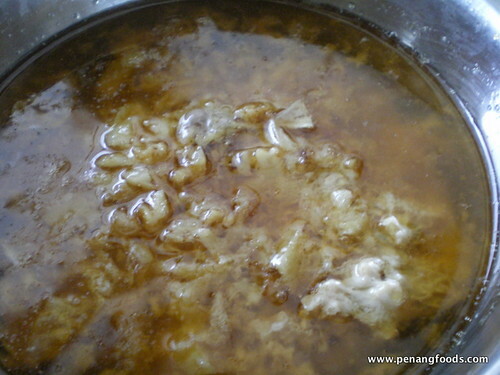 I usually remove some of the ginger for garnishing and mix the rest of the oil and ginger into the meat and steam it with a little soy sauce of taste. 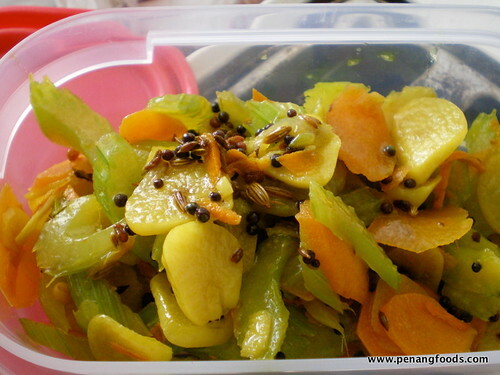 On another meal, I cooked these stir fried celery, carrot with lots of garlic and fresh tumeric slices. I used Indian spices like fennel, fenugreek and mustard seeds because fennel and fenugreek helps with increasing breast milk production. This is a very easy to prepare meal which I cooked for new moms. See? You don’t need to hired super expensive, nagging, old lady for confinement ladies.